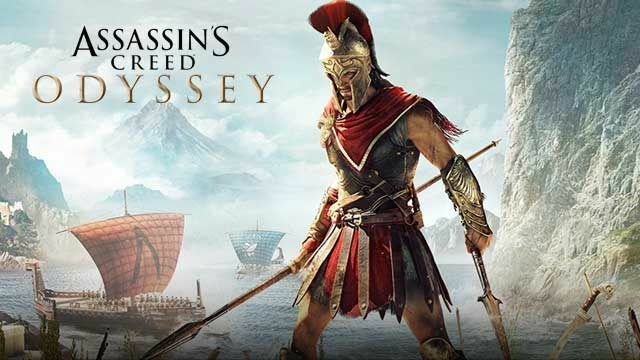 Gameplay-facilitating trainer for Assassin's Creed Odyssey . This trainer may not necessarily work with your copy of the game. This is a promo version of a trainer, which means that for free you can only activate one of the available functions. In order to access the rest of this trainer's functions, you will need to purchase its premium version at cheathappens.com and download its full version. Numpad 7: Unlimited Arrows/Ammo - while this is active, most arrows and many other throwables and ammo are unlimited. You need to have at least one of the item for this to work. Some parts of the game are scripted for things to decrease, so if you are stuck or something won't work, toggle this back off and toggle off the stealth option as well and see if that helps. Available here: Assassin´s Creed Odyssey Trainer. As always, MAKE SAVES OFTEN! Numpad 1: God Mode - toggle on while you are in the game and most things cannot kill you. Numpad 2: Super Stealth - toggle on and the enemy loses sight of you or cannot see you to begin with. Some things may not be interactable while you are invisible so if you are having problems interacting with some items while in stealth, toggle back off. Numpad 3: Super Damage - works best when you have to defeat something with massive health. Generally you can kill enemies with 1 or 2 attacks. This option is best to LEAVE off unless you have a strong opponent as it may cause unnecessary deaths of unintended people. Just use when needed then turn back off. Numpad 4: Instant Special Attack - toggle this on and you can generally use your special attacks immediately even if you do not have the power bar topped off. Works best with attacks that don't require duration, such as the sword attack. May not work with or be compatible with all attacks and weapons. Some weapons or attacks won't work unless there is still enemies around who are attacking you. Numpad 5: Unlimited Special Attack Duration - toggle this on and it will attempt to prolong your special attacks that stay on while the power bar drains. May not work with or be compatible with all attacks and weapons. Some weapons or attacks won't work unless there is still enemies around who are attacking you. Numpad 6: Unlimited Special Attack Meter - toggle on and once you have gathered enough attack that the meter has enough that you can use an attack, when you actually use an attack the meter will fill completely and then stay there. Numpad 8: Add XP - enter the Abilities page, then note your current amount, then press this to add the value shown in the trainer. You may have to leave then come back to see it has changed. Going too high may make you skip the next level, so use appropriately and you may also use negative numbers if needed. Numpad 9: Set Ability Points - enter the abilities page and note your ability points count. Press this to set it to the value shown in the trainer. You may have to leave and come back to see it has changed. Numpad 0: Easy Inventory Craft - toggle this on and then enter Inventory page and then you can craft certain items that are allowed to be crafted there, such as arrows. Toggle off when not needed. Numpad /: Unlimited Underwater Breathing - toggle on and when you are underwater, your oxygen meter remains full. F4: Unlimited Racing Boost - toggle on while racing and you have unlimited boost. Toggle off when not racing. Numpad *: Save Position to Teleport - make sure you are moving around a little bit first, then press this to log your position. Works best if you are ON FOOT and ON FLAT GROUND and not perched on something. Numpad -: Teleport to Saved Position - make sure you have saved a location then press this to teleport to that saved location. Works best if you are ON FOOT and ON FLAT GROUND and not perched on something. Numpad +: Undo Teleport - try to undo the last teleport. Numpad . : Teleport to Waypoint - probably best to make sure you use the Save Position to Teleport option first, then press M to enter the MAP, then click on the map to set a waypoint. This works best if you DO NOT SELECT AN ICON and just click the ground or a piece of road that isn't a point of interest. Then press this option. You can literally instantly cross the map using this option. Saves you TONS of time and is much faster than FAST TRAVEL. Home: Unlimited Ship Health - toggle on and this will try to keep your ship from being destroyed and the hull health meter full. Page Up: Unlimited Ship Ramming Power Meter - toggle on and you can continuously use the ship ramming acceleration. Page Down: Fast Ship Firebomb Cooldown - toggle on and when you launch firebombs, they are ready to launch again much more quickly. End: Set Gold - enter the inventory, then note your gold amount, then press this to set it to the value shown in the trainer. You may have to leave then come back to see it has changed. Insert: Free Blacksmith Upgrades - toggle on then enter the Blacksmith shop and you can perform upgrades even if you do not have the materials. Toggle off when not needed. Delete: Free Blacksmith Engraves - toggle on then enter the Blacksmith shop and you can perform engraves even if you do not have the materials. You may also have to toggle on Blacksmith Upgrades option along with this for it to work in some cases. Toggle off when not needed. Backspace: Unlock All Engraves - toggle on then enter the Blacksmith shop and when you select Engraves, all of the engraves are listed. F6: Fast Ship Weapons Recharge - when you control the ship, and firing weapons or javelins has a meter that depletes, toggle this on and the meter remains to the current max value. F7: Ship Always Able to Shoot Fire Weapons - when you control the ship, some weapons can shoot fire on them if you've unlocked the ability. However, if the meter is depleted, then you cannot shoot the fire weapons. Toggle this on if you have unlocked the ability, and you can shoot fire weapons even if the meter is depleted. To temporarily disable the Hotkeys, press CTRL-H after trainer is activated. You can use CTRL-H to re-activate the Hotkeys as well. You can also mute specific hotkeys by changing the hotkey you want to mute to 'NONE'. Click on the VR MODE button. Trainer options will now be drawn as buttons. Activate the trainer as usual with your keyboard. Put your HTC Vive on and when you are ingame press the MENU button on the hand controllers to open the steam overlay. At the bottom you can click on the DESKTOP button and you can easily press options on the trainer with your hand controller now. As of now the oculus has no unique input device and uses keyboard or xbox controller. Both are support by the trainer already.